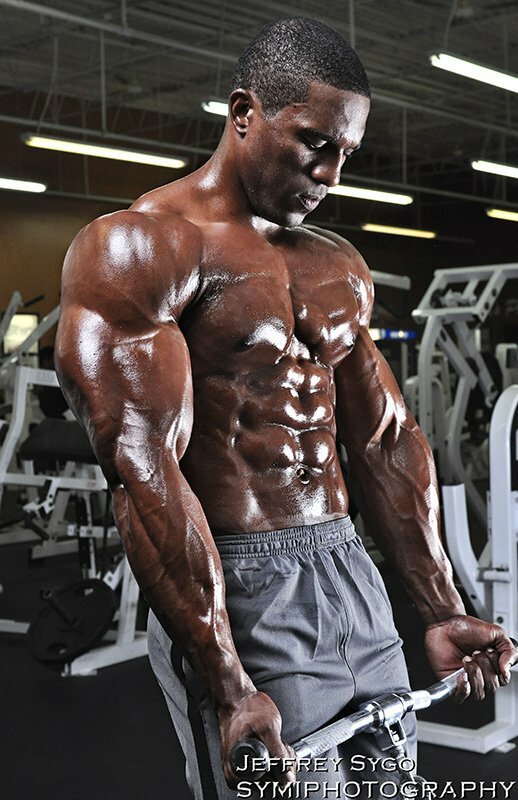 Lawrence channels his inner Kai Greene to overcome mental barriers and bury the competition. It starts with his mind and ends with a trophy in hand. This is the path of champions! I will never forget the reason why I started working out seriously. When I was 15 years old, my family and friends from church came over to celebrate Thanksgiving at my cousin's house. After dinner, we went to the basement to lift on his new bench. Everyone was lifting 50 pounds for 20 reps. When it was finally my turn, I unracked the bar and it fell straight to my chest and everyone started laughing because I couldn't get it off. I was extremely embarrassed. If that wasn't bad enough, they called a 15-year-old girl down right after me and she did it 20 times. I was 5-foot-4 and 120 pounds when the girl out-lifted me, so the next day I bought a Flex Magazine and asked my sister if I could go to the gym with her until I got my license. The following summer I grew almost eight inches, gained 50 pounds, and have been in the gym ever since. My first competition was in June of 2012 at the Bodybuilding.com Fit Body Competition. I was nervous before stepping onstage. I always wanted to compete, but didn't know if I had it in me. When I stepped onstage it felt like home and I was hooked. I placed second, and from that point on I had a new passion and drive to pursue the sport. I haven't looked back. What works best for me is pre-exhausting the body part by doing isolating exercises so I get a good pump and then go heavy on my compound lifts. I usually add partial sets and dropsets for isolation lifts. I rest one minute between sets. I saw growth this way, so I stick with it throughout my bulk and cut. My passion for bodybuilding came from wanting to improve myself and having the will to not be average. I want to make myself better every day and never settle. If I'm not improving myself in every facet, than I'm not working hard enough. This sport is amazing because there's no off time like other sports. Everything you do throughout every minute of every day counts. You have to stay focused on the goal. As a kid I always loved watching cartoons and wanted to be a super hero. As I got older, I started looking at fitness magazines and remember the guys looking like super heroes. I wanted to look like that. I've been striving for that super hero body since. I go to Bodybuilding.com and look at community and pro videos. Watching the pros lights a fire inside me, so I can hit the gym harder than ever. I hope to compete at the Arnold Amateurs and at USAs this year and win my IFBB pro card. I also plan to do more fitness magazine shoots. Besides that, I plan on releasing more fitness videos on YouTube so I can continue helping and inspiring people to chase and achieve their fitness goals. The most important tip I tell people is to stay consistent on your nutrition; your body is not made in the gym, it's made in the kitchen. My favorite bodybuilder is Kai Greene. He taught me that the mind governs your every action. If you feel bad or put out negative vibes, you receive negativity. If you put out positive vibes you get back positivity. Every day is a battle of the mind and if you can win these battles you can achieve your goal and win the war. 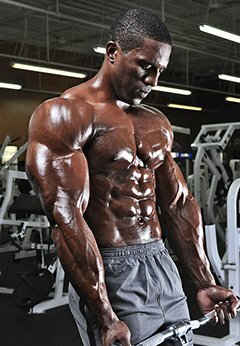 Bodybuilding.com is the reason I started bodybuilding. Without them, I would have never started. They believed in and choose me to be part of their fit body competition. 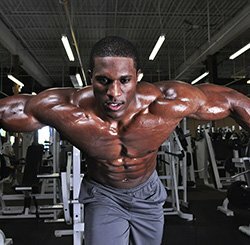 Bodybuilding.com has great articles that taught me how to get ready for my completion. I didn't know anything about bodybuilding diet prep going into my first show. Because of their articles, I place second. They also have the cheapest supplements online. BodySpace is a dream come true because I can talk to likeminded people and get help and encouragement when I need it most.